Morning lovelies! 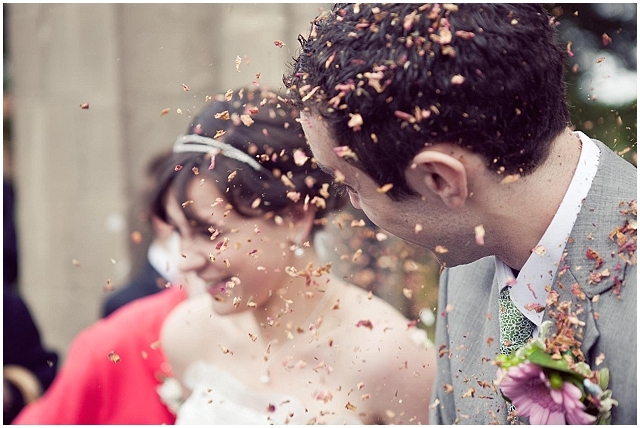 You just can’t beat natural wedding confetti, it’s sooooo pretty. In fact you could say, I’m totally obsessed with ‘the confetti shot’! 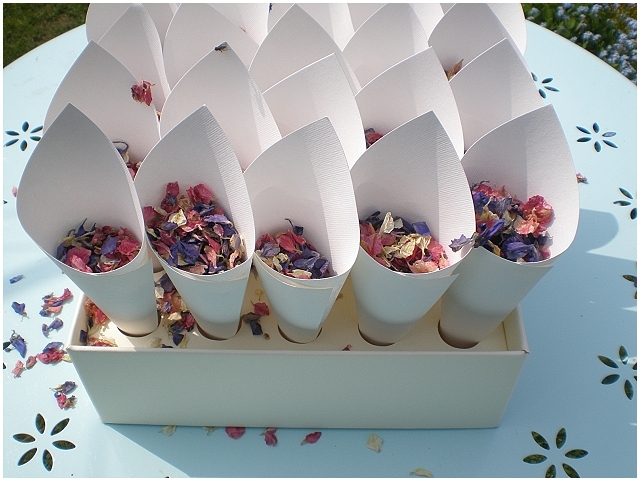 In this post Ruth from Daisy Shop tells you everything you need to know about beautiful, natural confetti and tell me, what do you think of this idea for a fabulous first kiss, confetti shot? Oooooh yeah. I’m in love with these STUNNING!! 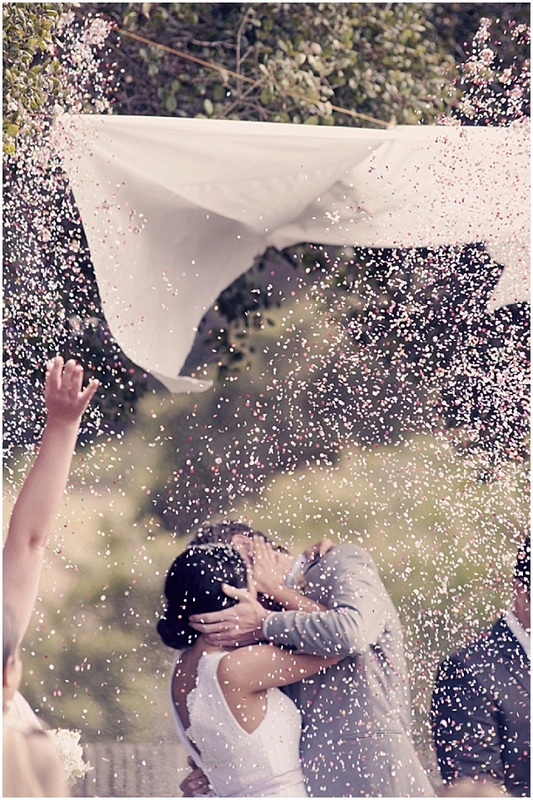 confetti bride and groom shots… aaaaawwww! 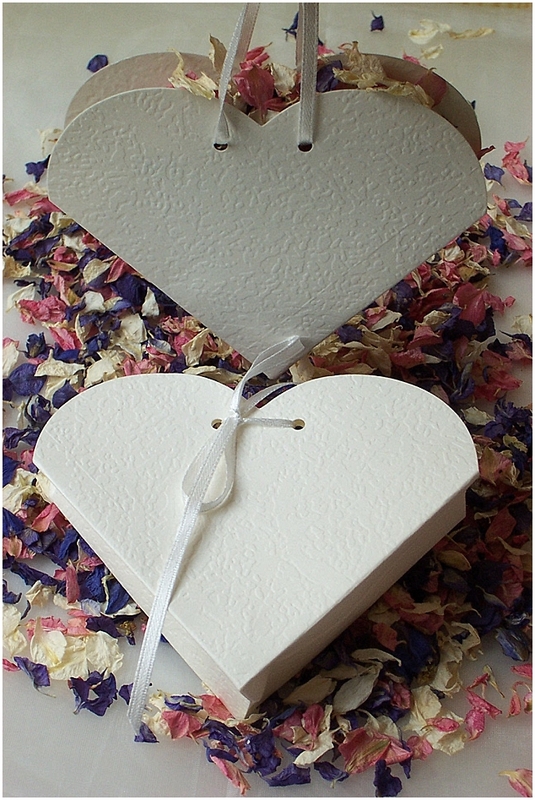 Confetti petals fall loosely into two categories – throwing confetti and table confetti. Table confetti needs to be dust-free and withstand close inspection. 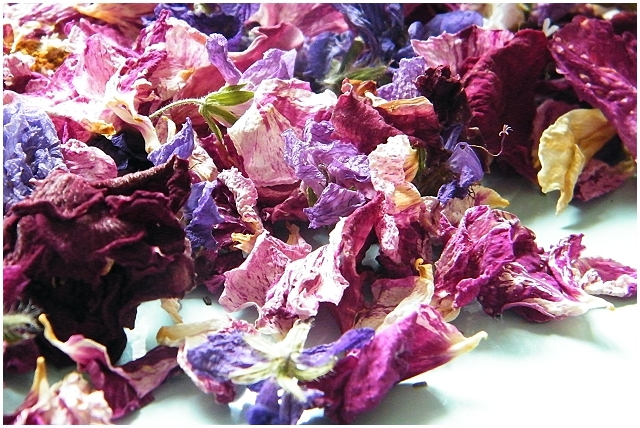 This often means that premium grade petals are needed, such as hydrangea or delphinium petals or rose buds. These are often expensive but only a sprinkling is needed on each table. 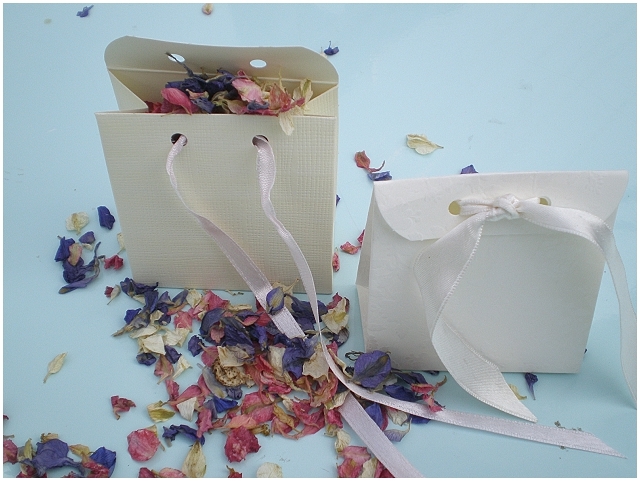 To extend the scheme, a few of the premium petals can be mixed with a bulk confetti for throwing after the ceremony. A real example of this is Steve & Shelley who were married recently: they chose lavender colour hydrangeas for the reception tables, and mixed this with ivory delphinium petals for throwing confetti. You can’t beat delphinium petals in pale colours for lovely wedding photos because they are so weightless they seem to float in the air and are more easily captured on film. 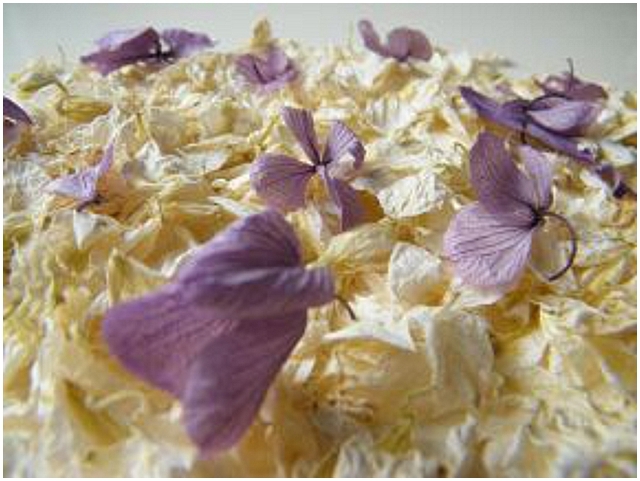 Apart from delphiniums, other ideas for throwing confetti are dried lavender (which throws like rice), dried rose petals and tiny rose buds, or hydrangea petals, either singly or combined in pretty mixes. 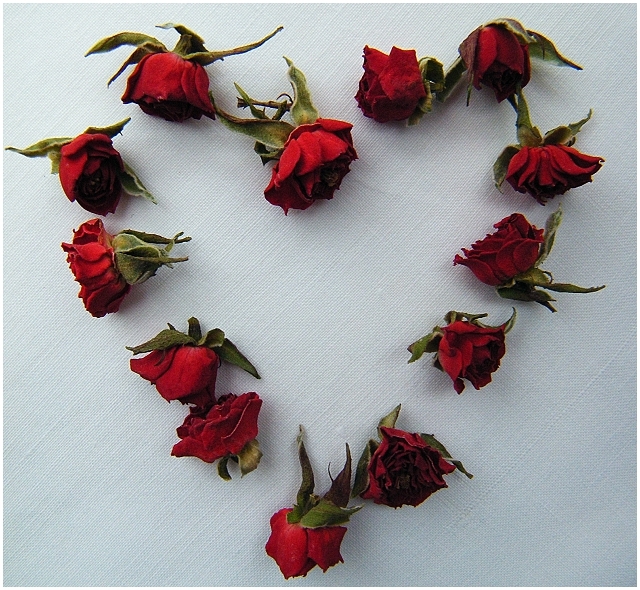 Using real petals need not be expensive – if you are on a budget, or have a lot of people to cater for, try small burgundy air dried rose petals as throwing confetti, which have a very traditional look. 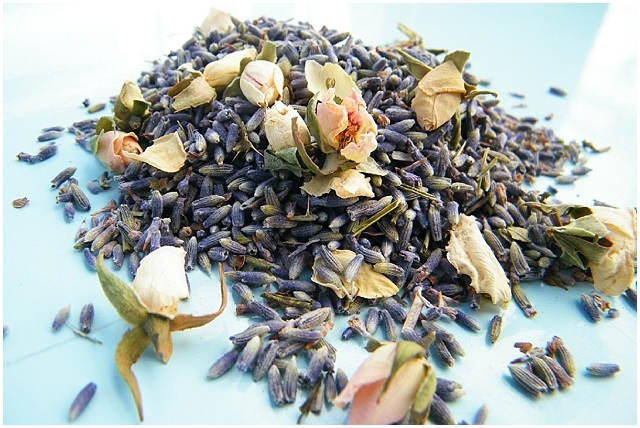 If you mix rose petals with lavender, there is the added bonus of fragrance: the freshness of the lavender combines with the sweetness of the rose petals. 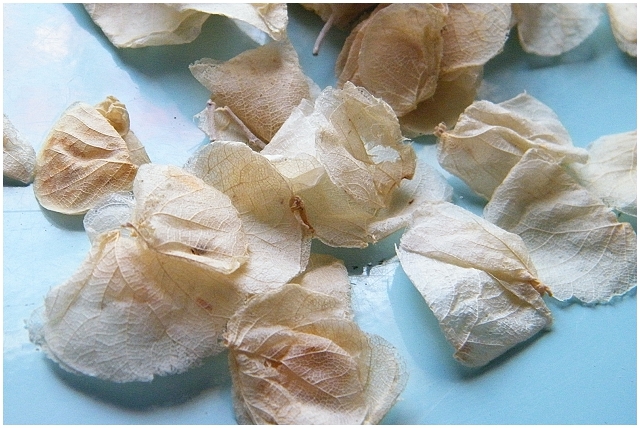 Other inexpensive petals which can be bought in bulk include ivory sweety petals, which are slightly larger and have a skeleton-like structure. 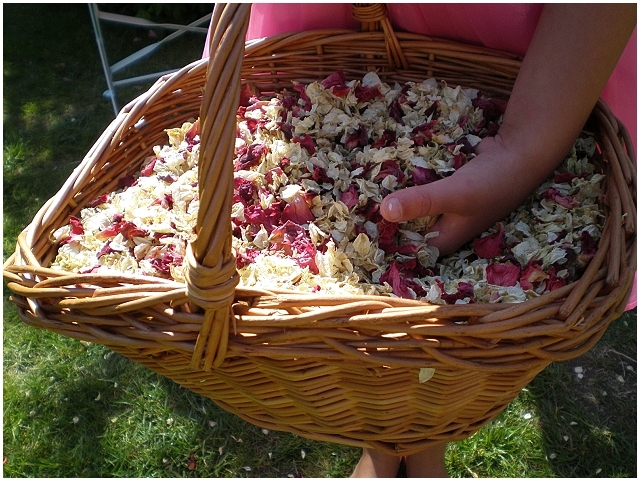 If you would like to make your own natural petal confetti, many gardens contain rose bushes and lavender. Delphinium spires are readily available at the florist in season. Just bunch together half a dozen of any of these stems in an elastic band and hang upside down in your airing cupboard for at least a week. 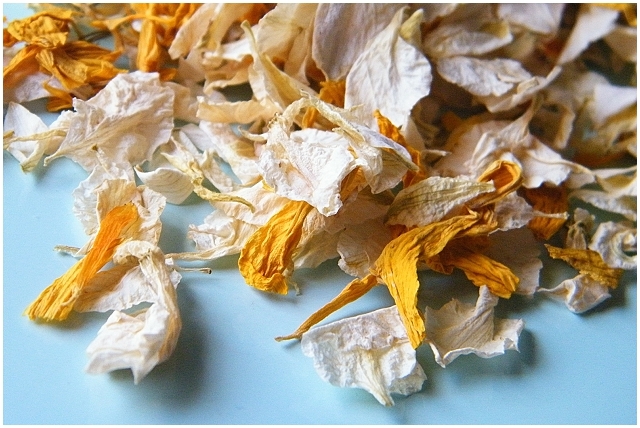 When dry, strip the petals from the stems, and mix to make a pretty dried flower confetti. Hydrangea heads can be dried at home too, but they need to be left standing in a vase half-filled with water until the water has gone and the petals are crispy. 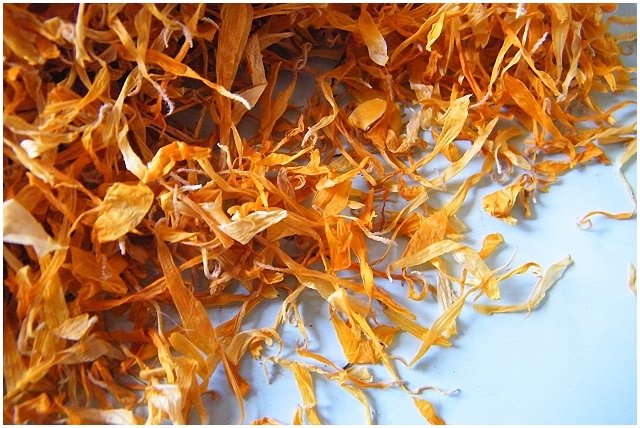 At this time of year there is increasing interest in yellows and oranges in confetti, to reflect autumnal shades, so why not try dried marigold or sunflower petals, or a mixture of these combined with ivory delphinium. 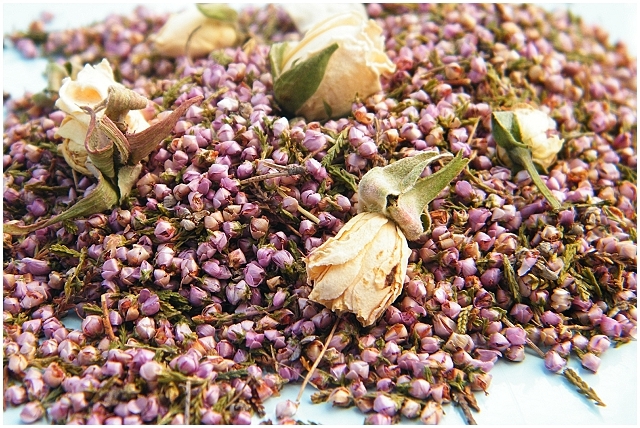 For an autumnal scheme including pinks, tiny heather grains are a good choice. 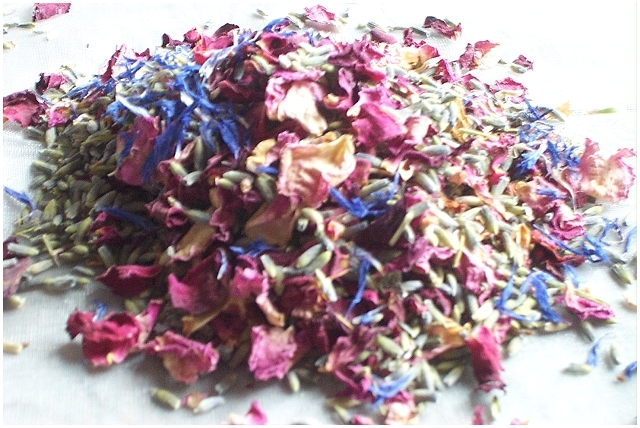 DaisyShop is an online dried flower shop with a large range of natural confetti petals, as well as baskets and confetti cones. Owner Ruth is always trying new products and making new confetti mixes, and has been in the business about 10 years. Dried flowers are also becoming increasingly popular as table decorations and bouquets as seen in the WTW French styled bridal shoot last April, and DaisyShop has a wide range, also including co-ordinating wedding favours such as lavender bags. 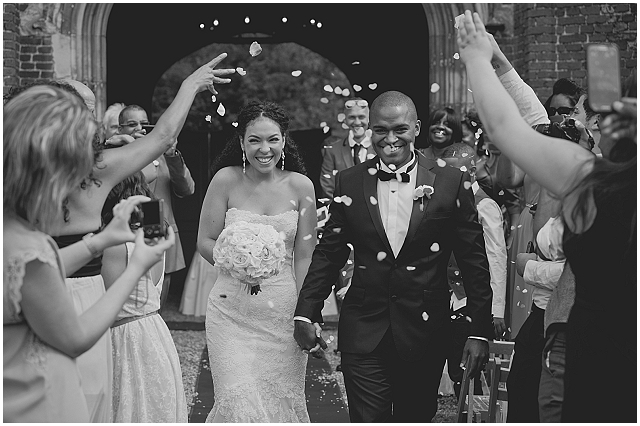 Have you seen any confetti shots that make you smile? Feel free to post your links in the comments box! Further reading? Check out 3 Reasons you NEED Confetti on your BIG Day! Love this post! So much better than paper confetti and prettier too! I have a magnificent clematis MARY ROSE fashioned royal purple colour and hundreds of petals. I want to collect them for a wedding, would I be better to dry them hanging? I collected a lot and dried them on paper towel, but the colour went. When they fall onto the ground, the colour stays. Any tips, I have so many this year, they need to be used. Appreciate anything you can advise. 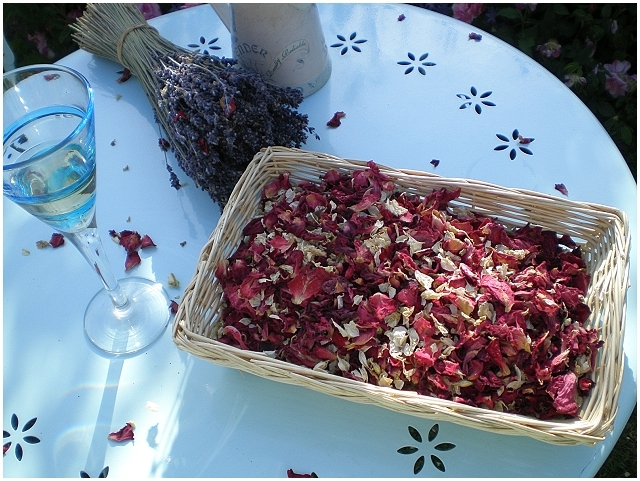 I’ve enthusiastically started drying rose petals but they seem quite big to be thrown as confetti. Does anyone know if it’s possible to tear them down into smaller pieces and should this be done before or after they’ve dried out? Great post, thank you :) wondering if anyone can help me – I don’t have a wedding date yet but we hope it will be sometime next year. 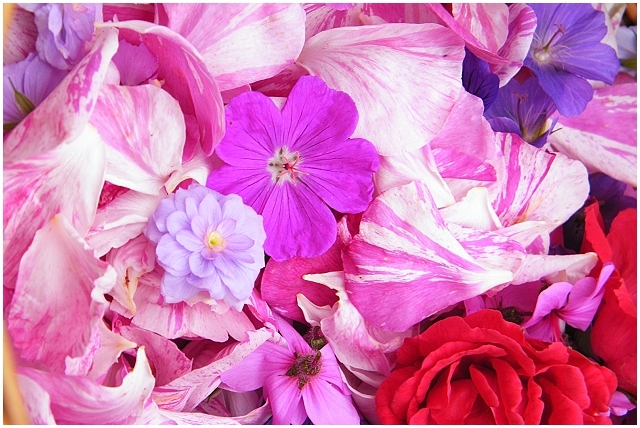 My question is, if I start drying petals now as the flowers become available in my garden & I accumulate them until the big day, will they last, or is it something that needs to be done all at one time? Thanks in advance for any advice you might have!